At the beginning of 2018, Sonda submitted the renewed algorithms both for the palm and fingerprint authentication to the regular Fingerprint Verification Competition – FVC Ongoing. 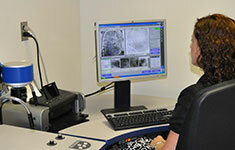 Results were published on Feb 2 and March 12. As for the fingerprint verification algorithm Sonda is yet on top. The Rapid Mobile Identification System based on Sonda technology was demonstrated as a matter of special pride for the Russian Police at the regular meeting of the Council of CIS Interior Ministers held in Dushanbe. The queries went to the remote identification server both in the mobile and stationery modes. In February Sonda attended the 2-nd conference ‘Remote authentication and biometrics in the financial industry: regulation, technology, solutions’ held by Banking Review magazine. The goal was to reach understanding of how, where and when the biometrics could be used in banks. 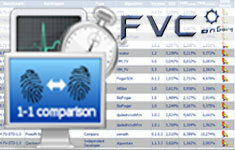 By the end of 2014 the National Institute of Standards and Technology completed the biometric grand testings of FpVTE-12 (Fingerprint Vendor Technology Evaluation). 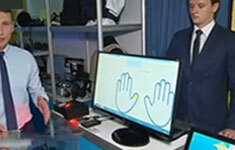 It was the most important testing in the world of biometric identification which lasted for two years.